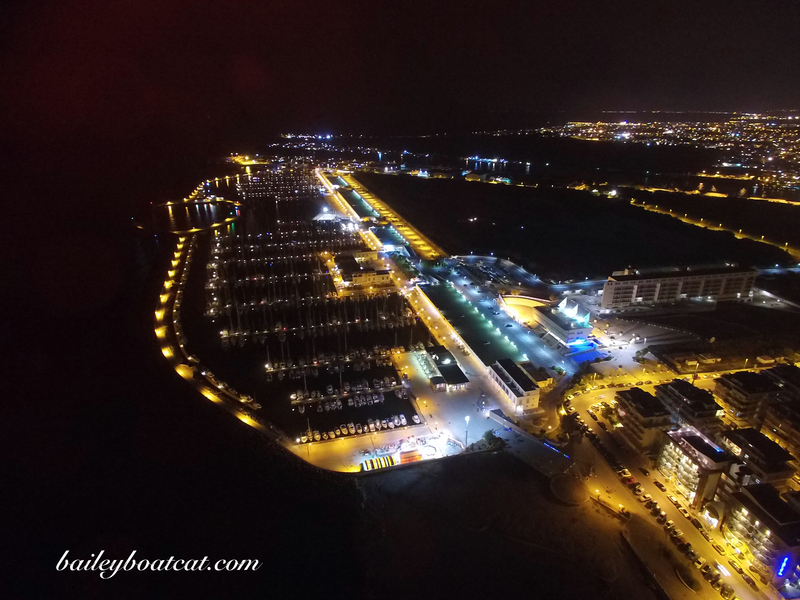 This week I have a special Film on Friday for you, it shows my marina at night from my human’s DJI Phantom 3 Professional! I really hope you like it. I think all the lights look beautiful from up there… I wish I could fly! « A new starter motor! Beautiful! Wish I could be there – I would bring you some organic cat treats! that was so cool! You have a great weekend too! The Pictures are beautiful. You really live in a beautiful place in this world, Wow is all I can come up with of the aerial views. I’m so glad your dad got the drone, I’m looking forward to the pics your dad will get on your trip to Greece. really wonderful, thanks for sharing. I wish I could fly, too. Gorgeous video! I bet that Phantom is strong enough to pick you up and fly with you, B. Maybe your dad can rig a harness…. Wouldn’t that be something?? Thanks Bailey ! I was trying to picture where YOU might live in this aerial view. Hmmm…can you X marks the spot ? Purrfect !! Wow! We loved seeing the marina at night. Gosh, you are in a beautiful place! I enjoy seeing all the sailing photo and Friday Films because I live a long way from any large body of water. Your lifestyle is interesting Baily. My 2 cats Penn & Pitty Pat are jealous of you. Pretty cool, Bailey. Mom says it would be great to have one of those when she goes on her trail rides so everyone could see all the beautiful forest where we live.